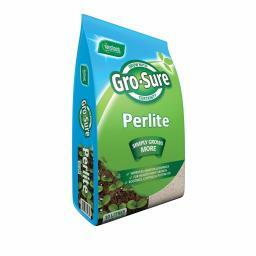 Perlite is a naturally occurring, non-toxic, volcanic rock that has been heated to a high temperature to produce a lightweight, micro-porous material with a high surface area. This is perfect for improving aeration, moisture retention and drainage. 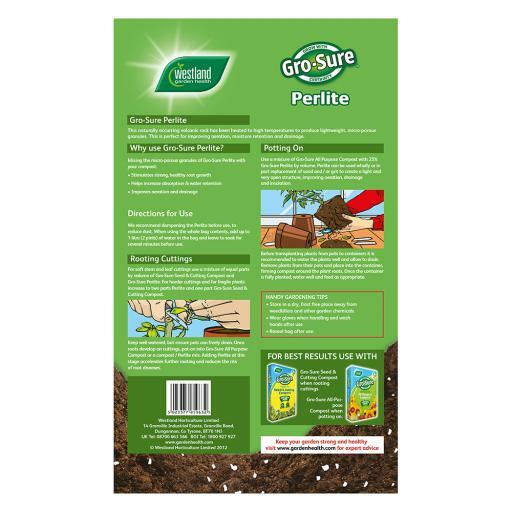 Perlite is an ideal compost additive as it helps to retain air in the compost which is essential for healthy root development. It helps to create an optimum balance of air and water, which makes water logging almost impossible and also minimises damage to roots when transplanting. When added to compost it accelerates rooting and reduces the risk of fungal diseases. 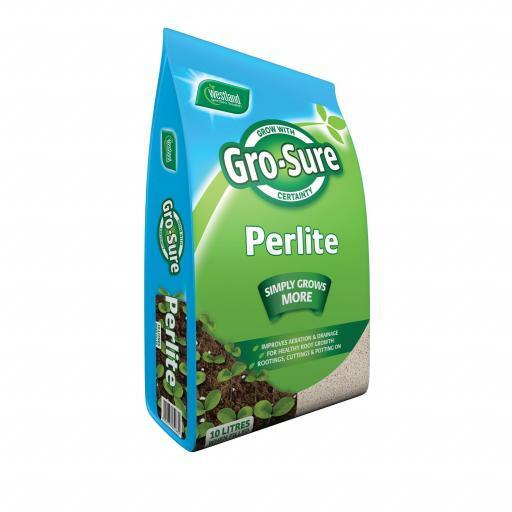 It has been carefully graded to produce a particle size of 2-5mm and is ideal for use when sowing seeds, rooting cuttings, potting on and container growing.